Our fifth child is due on November 24. To allow for the possibility that he might be late, we attempted to schedule a private baptism on Gaudete Sunday. My pastor says that no baptisms can be celebrated during Advent or Lent. I don’t know if this is a norm or just his understanding. What are my obligations here? Am I misunderstanding that it is my duty to have the child baptized within 3 weeks or so. My pastor is actually moving towards embracing tradtion, and I don’t know if this is a fight (however minor) that I should pick. This is not something to "pick a fight" over. To my knowledge, there is no legal prohibition of baptism during Advent. At the same time, it was the tradition of the Church not to baptize or marry (solemnly) during Advent and Lent. These seasons have their character and that character, which is penitential, should be respected. Of course none of this applied to emergency baptisms or, ehem, marriages that had to take place rather quickly or mixed marriages (which were usually informal and often not in church). Back to baptism. There is no hard and fast rule about the length of time after birth for the baptism of a newborn. 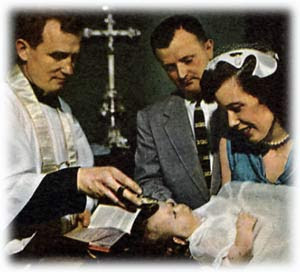 In centuries past, due to high infant mortality and a strong sense of the critical importance of baptism for salvation, people would sometimes take infants directly to church for nearly immediate baptism. Infant mortality rates have dropped in most places (may God be praised) and, alas, so as the sense of the need for baptism for salvation. People are taking longer to bring their bundles of joy to church. His dictis, if your pastor is concerned about the character of Advent, you might consider hanging on just a little longer and having your baby baptized around the time of Epiphany, which is associated with three manifestations of the Lord’s divinity, including His baptism. In the new, post-Conciliar calendar, there is the Feast of the Baptism of the Lord which marks the conclusion of the Advent/Christmas cycle. This entry was posted in ASK FATHER Question Box and tagged ADVENT, baptism. Bookmark the permalink. In case of emergency, there is always the lay baptism. I believe Father has commented on this several times. Where I work we celebrate infant baptism during Advent, but not during Lent. Avoiding Lent is partly for the traditional reasons that Father describes, but also because infant baptisms in our area are usually accompanied by big parties in rented halls. Since the various events surrounding St. Patrick’s Day already interfere with Lent where I live, we decided to discourage more parties. If I ever get to heaven, I’m going to have a stern talk with St. Patrick about the damage he has done to Christian devotion by dying during Lent. For similar reasons, we don’t do weddings during Lent either. Actually, I am relieved to hear of a priest who maintains the traditional solemnity of the seasons of Advent and Lent. Same with Father Charles. It is refreshing. My former pastor, who is know in Rome, did marriages in Advent. I can understrand the reasons for not having weddings during lent but baptims? I assume that in countries where infant mortality rates are higher the priest is more concerned about the Child’s soul. Also in answer to the point raised by Fr. Charles; if the Churching of women was still around then people could have their lavish parities then – I seem to remember reading a document in the SSPX archives which railed against people who delayed baptism so that they could get all the family together suggesting this solution. In researching my genealogy, I just learned that my maternal grandmother was confirmed on Tuesday, 8 December 1931–the Solemnity of the Immaculate Conception of the Blessed Virgin Mary. I am guessing this date was chosen specifically because it was a festive day during the semi-penitential season of Advent. Perhaps this could be a “compromise” with the pastor? I can understrand the reasons for not having weddings during lent but baptims? Adjust the ceremonial trappings and parties (or lack thereof) in accordance with the liturgical season, certainly, but I honestly cannot see putting off the baptism of an infant, even a perfectly healthy one, who is born just before or at the start of Lent. It seems that there is a guideline in Canon Law. It seems to me that “first few weeks” has a very clear meaning. The question is whether or not Advent or Lent is more than a “few weeks” in durration. Personally, I would feel like I had failed in my obligation if my child wasn’t baptised within the first month of his life. It seems that this duty is one that Canon Law places upon parents, I would hope that pastors would do what they can to cooperate. Can. 856, while expressing a preference of the celbration of Baptism on Sundays, or the Easter Vigil, if possible, explicity permits the celebration of Baptism on ANY DAY. I am in total agreement with Margaret above. It seems that infant mortality is lower these days, however, SIDS and car accidents like she cited are certainly to be feared. I cannot imagine refusing to baptise an infant because of solemnity. The party could wait, but the baptism should not. There are a lot of rules concerning when Nuptial and Requiem Masses may be offered, but I’ve never heard of a limitation on a baptism. Fortescue recommends Sunday afternoons, and he does not mention seasons. As an aside, there is also a commemoration of the baptism of our Lord in the pre-Vatican II missals. What used to be the octave day of the Epiphany is the traditional day to mark the baptism of Jesus. Even though the octave was abolished by Pius XII (Bugnini?) the Mass itself (see the Gospel) remains intact on 13 January, which is a 2nd class feast day. This raises an interesting thought. The Lord, obviously, knew the impact of taking St. Patrick when he did. Perhaps this was to set up a test for the faithful, or at least to provide them with an additional sacrifice they could offer up during Lent? bnaasko does well to note canon 867. The sooner infants are baptized, the better. A fair compromise would seem to be to permit baptisms during most of Lent and Advent, but to skip the parties. But if the parish priest has made his mind up…the choice would seem to be to risk the wait, or to find another alternative for a timely baptism. It used to be a matter of canon law (by decree of Ecumenical Council) that baptism was to conferred within 8 days of birth. This has been mitigated in light of lesser infant mortality, but still. I was baptized in Advent. This is in the ‘old days’ too. Oh well. I would rather err on the side of caution and have the baby baptized. Our fifth child was born early in the morning of Ash Wednesday. No way was I going to wait 40-odd days to have him baptized. Luckily our Eastern Rite pastor had no problem with this. But then, we also do not baptize in the middle of the liturgy as a public spectacle ala Novus Ordo, nor do we have a huge party afterwards. To me, the joy of seeing my child exorcised and receive the sacraments is celebration enough. Baby #6 is due in early December this year so we’ll see what happens re: Advent. Wow, I never thought of this. My first son was baptized on December 13th. He had been in the hospital for 7 weeks (preemie) and we wanted to do the baptism as soon as he was released. We had a small meal with cake afterward but it was not a huge “blow-out” party. No one ever mentioned about it being Advent. Very interesting. As was pointed out by Joshua08 and bnaasko, the Church prescribes that baptism should be done as soon as possible. I’ve seen no evidence supporting that “it was the tradition of the Church not to baptize or marry (solemnly) during Advent and Lent” – in fact I’ve heard the opposite from folks who remember the pre-Vatican 2 days if that’s what we’re referring to. I’m eager to see if that can be documented in any way because I know couples who ultimately needed to consult a canon lawyer to get the issue resolved in their diocese, and they found the issue to be not only offensive but morally wrong. But the salient issue doesn’t seem to be “how long after birth should children be baptized”. Rather, it’s the explicit refusal to baptize a child during a certain portion of the liturgical calendar. Why would anyone, for any reason, ever be refused such a fundamental sacrament of the Church? The child is cleansed of original sin, and receives abundant grace. It seems like Advent and Lent are the perfect time to be baptized given the spiritual significance of those liturgical seasons, and I can’t imagine what the argument would be against the sacrament’s being fitting for any liturgical season, because what we’re talking about is the denial of an essential sacrament. I can’t speak to the issue of the sacrament of marriage, but again Advent seems the perfect time to get married, even though it’s a penitential season. It’s a very eschatological season when we spend time considering the marriage feast of the Lamb. And, since Sundays are not penitential even during Lent (every Sunday is a little Easter), why not get married on a Sunday during Lent? It might not be the best time of the year for a honeymoon, but that can be delayed. Especially for baptism, though, where in the Tradition can we find good reasons for refusing the sacrament? My daughter was born on Nov. 17, 1995, and baptized on Dec. 10, which that year was the Second Sunday of Advent. Neither the priest nor anyone else questioned our decision. The only concern anyone, including the priest, raised was whether I’d feel up to it so soon after her birth (which was full term, natural and not extraordinarily difficult). My main concern was making sure that the godparents and all her grandparents could attend. I was born on the feast of St. Clement of Rome, November 23, 1945. My parents had me baptized December 8, 1945. I have always been grateful that my birthdate gave me the patronage of a great Pope, and that my baptism gave me the protection of Our Lady. I see no reason not to baptize babies in Advent, regardless of the fact that most infants’ prospect if living is greater in this day and age. I am appalled at the delays of baptism by many Catholic parents these days because they have a responsibility for the soul of their child and death can occur at any time for any reason no matter how healthy a child seems. For those who question the appropriateness of celebrating baptisms during Advent or Lent… would one possible solution be to administer just the basic baptism during those seasons and “supply the ceremonies” later? I know this can be done for babies that receive emergency baptism at birth and then later recover. I saw it done once — and very beautifully — for a set of five babies (they were actually sextuplets, but one died at birth) who had been baptized right after birth. When they were about 9 months old the whole family and the official godparents got together and they did the entire rest of the ceremony — candles, white garments, anointings, godparents saying the baptismal vows, etc. — everything but the actual pouring of the water, followed, of course, by a big family party. Could this ever be done by choice in a non-emergency situation? I am under the impression that the rule regarding weddings in Advent and Lent was loosened in the 1917 Canon Law. However, the rule is still applied by some dioceses and one should check with the diocesan guidelines before planning such. As to baptisms, many dioceses do not baptize during Lent, asking couples to wait until the Easter Vigil for the baptism. However, if the child is ill, I am sure these rules are relaxed. The present rules for a nuptial Mass are; first, that it may not be celebrated in the closed time for marriages, that is from Advent Sunday till after the octave of the Epiphany and from Ash Wednesday till after Low Sunday. During these times no reference to a marriage may be made in Mass; if people wish to be married then they must be content with the little service in the Ritual, without music or other solemnities. This is what is meant by the rubric: “claudun tur nuptiarum solemnia”; it is spoken of usually as the closed season. During the rest of the year the nuptial Mass may be said at a wedding any day except Sundays and feasts of obligation, doubles of the first and second class and such privileged ferias and octaves as exclude a double. It may not displace the Rogation Mass at which the procession is made, nor may it displace at least one Requiem on All Souls day. On these occasions its place is taken by the Mass of the day to which commemorations of the nuptial Mass are added in the last place and at which the blessings are inserted in their place. The nuptial blessing is considered as part of the nuptial Mass. It may never be given except during this Mass or during a Mass that replaces it (and commemorates it) when it cannot be said, as above. The nuptial Mass and blessing may be celebrated after the closed time for people married during it. So nuptial Mass and blessing always go together; either involves the other. One Mass and blessing may be held for several pairs of married people, who must all be present. “378. The votive Mass “For Bride and Bridegroom,” or at least its collect in the Mass of the day which impedes it, is permitted whenever a wedding is celebrated, whether outside of the closed time or even in the closed time, if the local ordinary for a good reason has permitted the solemn nuptial blessing. 379. Besides the days on which votive Masses of the 2nd class are prohibited, the Mass “For Bride and Bridegroom” is prohibited also on Sundays and whenever, according to no. 381c, the nuptial blessing cannot be given. 380. Whenever the Mass “For Bride and Bridegroom,” but not the nuptial blessing, is prohibited, the Mass of the office of the day is said, and to its collect is added under a single conclusion the collect of the impeded votive Mass, even on those days on which, according to no. 343c, a commemoration of an impeded votive Mass of the 2nd class is prohibited; and the nuptial blessing is given in the usual way in the Mass of the day. But when both the Mass “For the Bride and Bridegroom” and the nuptial blessing are prohibited, the Mass together with the blessing may be transferred to a timely unimpeded day, after the marriage has been celebrated. And if it is true that some diocese pretends to forbid baptism during Lent or Advent, then that rule is null and void. A diocese cannot take away a right guaranteed by the Church, nor impede in the faithful fulfilling their duty to baptise with the first few weeks. (As the old law was held to be ideally within 3 days and at most 8 days, it would be an absolute absurdity to claim any argument of tradition…Florence itself laid down the law, no more than 8 days). So any priest or diocese claiming that they are restoring traditional practice by refusing to baptise infants in these seasons is speaking nonsense. That adults are preferably baptised at Easter OR Pentecost is fine, that has always been the case. Even the 1917 code which commanded baptism within 8 days for children, had a strong recommendation not to baptise adults in those seasons outside of necessity. So… in that line, shouldn’t we start by worrying about those liberal parishes that require one to jump through liberal hoops of de-education to be Confirmed? There’s an underreported abuse of the Sacraments if I ever saw one. As to Baptism, I’m leaning toward the notion that it depends whether we’re dealing with an infant or not; the case is made pretty clearly for infant Baptism being made within a few weeks at most even in Lent, but it also seems best among those grown to avoid Lent and Advent for Baptism barring danger of death. I know that the Catholic Church of St. Anthony’s in Fall Church, VA does not have baptisms during Lent or Advent, and those of infants are held on Sundays. Thank you for the reminder as to the difference in the Nuptial Blessing and the Nuptial Mass. Indeed, the pastor I was referring to witnessed the Nuptial Blessings in Advent and not the full Nuptial Masses. Big difference. Or, I should say to be clear, the Order of the Wedding outside of the Mass, with the Nuptial Blessing. I was on the 23rd. December 1957, but no Nuptial Mass. Wedding breakfast provided by nuns in adjacent convent, they were overjoyed. Sadly now closed. Except for bilirubin and other types of hospital visits, and perhaps a stop at Grandma’s on the way home from the hospital, I won’t take my baby ANYWHERE in a car until he/she is baptized. I’m not going to answer for it if the worst were to happen and I let my child die without Baptism. Like others mentioned, I have been taught that it is a mortal sin to postpone baptism for a long time. Who cares about a party? We call our designated godparents, we call the priest, we all arrange to meet ASAP, and the Sacrament is affected. I have never understood parishes where they have a scheduled baptism day, and parents have to wait sometimes months until they are allowed to get their child baptized. Allow Satan to have that soul for that long? No thank you! This is interesting. I was aware that, prior to the first decades of the 20 century (I don’t know the exact date when this ended – was it with the 1917 Code of Canon Law?) there were restricted times re. the solemn celebration of matrimony. I wasn’t aware that this applied to baptism too, and I understood that the Church promoted quick infant baptism to avoid risks. Regarding marriages, I remember hearing that, in the cases in which it was celebrated during the restricted times, no nuptial blessing was given (there was only the exchange of consent – the essential part of the celebration, that establishes the marriage – and the blessing and exchange of rings). The Spouses were then expected to return later for the reception of the Nuptial Blessing (a.k.a blessing over the bride), and were expected not to engage in marital acts before that. Another case of marriages in which Nuptial Blessings were (are?) not given at once is the case of marriages by proxy. In those marriages, even when solemnly celebrated, the proxy, invested with a canonically recognized power of attorney, issued in accordance with the norms of canon law, represented the absent party in the celebration of the Sacrament, but the celebration included only the exchange of consent establishing the marriage contract. There could also be a blessing of a ring and the delivery of such ring from the proxy to the Spouse present, but the Spouse present would not give a ring to the proxy. Later, when the newlyweds met, the Spouses were expected to go to Church again (not for a celebration of “matrimony”, as this was already done, but to a celebration of complementary rites), to complete the exchange of rings (the Spouse that was absent in the celebration of marriage now receiving) and to receive the Nuptial Blessing and hear the Missa pro Sponsis. So, the Nuptial Blessing was not given to the proxy, but only when the Spouses met, and to them personally. The Spouses married by proxy were expected to consumate the marriage only after completing the rites with the personal reception of Nuptial Blessing. Very interesting, this infant baptism question. It seems to me that serious-minded Catholics kick and scream about the inappropriateness of progressive, lefty churches removing holy water from the stoups during Lent (often replacing it with sand and rocks) when legislation clearly states that the removal of the sacramental is strictly prohibited. Is it not rather puzzling (and inconsistent) that it’s thought to be only good and proper to restrict the baptism of babies during Lent, thus denying them the graces and efficacy of the sacrament? Well, that might explain why my brother and I (both born in the early 1960s) were both baptized right after our mom got out of the hospital (since drive-through deliveries were not yet common practice, she stayed in the hospital a full week). My first two children were born July 21 and baptized August 6, and born May 29 and baptized June 29. On both occasions, the baptismal day was the first solemnity after the child’s birth (and both, conveniently, happened to be Sunday, although I would have baptized them on those days regardless). If we ever have a child born during Advent or Lent, I would be perfectly content waiting until Epiphany or the Easter Vigil in order to give him or her a fitting baptismal anniversary. For those who are not comfortable waiting that long, the Church gives us one solemnity within Advent and two within Lent, on which I can’t see a reasonable pastor refusing Baptism (you can’t honestly tell me that it’s not fitting to baptize a child during a penitential season and then turn around and wear white and sing the Gloria). There is a huge difference, I think, between banning Church weddings in Septuagesima and banning Holy Water during the same period. A wedding presuposes a celebratory state that was (reasonably) regarded incompatible with the nature of the penitential season. On the other hand, Holy Water has nothing celebratory about it. It is a spiritual weapon, and as such I understand that it is used even in exorcisms. The nature of the sacramental of holy water, therefore, is not incompatible with the penitential season; rather, use of holy water during Lent is as appropriate as ever to guard against evil. I remain baffled, however, by the information that baptisms used not to be celebrated during the penitential season; I’m not sure this is accurate. Perhaps a canonist with knowlege of the history of the now reppealed rule of restricted seasons can come to our aid, but my understanding is that only weddings had restricted times. When I was pregnant with my child, we made plans to have her baptized the first Sunday after she and I came home from the hospital. Our parish (Novus Ordo but no monkey business) does baptisms after Sunday Mass. Well it turned out that the first Sunday after coming home from the hosptial was Palm Sunday – she was 5 days old. Our pastor said something along the lines of it wasn’t “ideal” to have baptisms on Palm Sunday, but this was more because of the big parties that often accompany baptisms, so he allowed it. We hadn’t planned any sort of party anyhow. After the baptism, my in-laws took us out to lunch at a nice restaurant, and that was it. Born in 1850, my great grandfather (a seminary drop out after six years of study) became an m.d. : he baptized every single baby he delivered at its birth, and was, to my knowledge, every inch a Catholic. One ancient cousin, an amateur family historian, who knew my grandfather, also an m. d., imagines the numbers were high. I still cannot parse the sense in which the sacrament is necessary, while there are reasons to delay babies being baptized, even as anybody (does the Baltimore Catechism read “pagan” or “heathen?”) can baptize anybody so long as, inter alia, the matter and form are upheld. Besides infant baptism, I don’t see why a priest, on the assumption that an unbaptized person is really desirous of becoming Catholic and decently well informed, would not jump at the opportunity, instead of letting months go by with RCIA. If that person were desirous, could not most priest inform him in a number of meetings, then baptize? Father, I have to disagree. If there is no church law forbidding baptism during Lent or Advent, then no pastor has any business forbidding or discouraging baptism during those times. Even in the 1962 Missal (45 years after the 1917 code) still restriction on the Mass and Blessing remained, except that the Bishop could permit the blessing during the close time for weighty reason. So the earliest this practice ended was 1970, perhaps 1983. But the reason for this is very different than infants. Adults must be catechized and formed before baptism. The child is not. In 1900, infant mortality was about 1/10. That perhaps explains the urgency in the mind of my great grandfather, who practiced medicine long before then, too, in the days of horse and buggy. Laying aside the manifold misuses and abuses of the RCIA and the question of how long instruction should take, I would also point out that adults are received into the order of catechumens, and as such are already within the embrace of holy mother Church, and they receive the various pre-baptismal purifications/exorcisms and blessings during this time of preparation and instruction (normative for the usus recentior, permitted for the usus antiquior). Out of curiosity, why not just wait a week for Easter? That’s hardly an undue delay. Greg, thanks for your reply. I take your points. However, baptism is, I thought, a necessity for salvation: what seems missing for adults in some cases are steps which reflect that, quite specific, necessity. 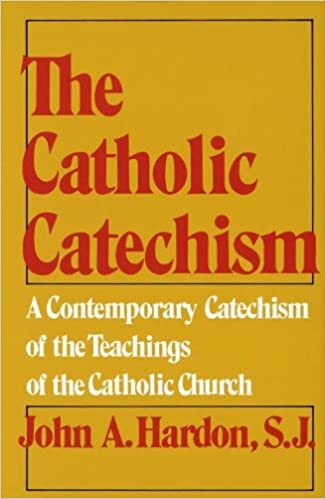 The various pre-baptismal rites, together with the doctrinal and moral formation, are meant to propel the catechumen toward the saving grace of baptism, and increase his desire and longing for the same. The catechumenate is about conducting people to that full incorporation into Christ and His Church, not keeping them from it. After the promulgation of the Gospel, this transition [to the state of grace and adoption as children of God] cannot take place without the bath of regeneration or the desire for it [aut eius voto], as it is written: “Unless one is born of water and the Spirit, one cannot enter the kingdom of God” [John 3:5]. As regards the helps to salvation which are ordered to the last end only by divine decree, not by intrinsic necessity, God, in his infinite mercy, willed that their effects which are necessary to salvation can, in certain circumstances, be obtained when the helps are used only in desire or longing [ubi voto solummodo vel desiderio adhibeantur]. We see this clearly stated in the Council of Trent about the sacrament of regeneration and about the sacrament of penance. It’s derelict and crass to take into consideration something like the current infant mortality rate when making the decision concerning when a baby should be baptized. If your baby was born in dire need of medical attention, would you delay getting medical help based on whether or not your baby was born around lunch time? All children are born into an illness far more dire than any physical ailment called original sin. Why wouldn’t one of our first thoughts be when the soonest is that we could have them baptized? All things being equal, shouldn’t that be one of our first considerations? Given that’s it’s a juridical requirement to have the baby baptized at the parish except in extreme circumstances, isn’t this a grave obligation on the part of the priest to try and arrange the baptism ASAP, regardless if the liturgical season? The question remains whether, if this is a good summary of a large topic, the necessity clear from Scripture and Tradition is really and adequately being served. I wonder if the communication between Bishops and Catholic health care workers is as vigorous today as clearly it was around the turn of the last century, when nurse and midwives received explicit instructions on baptisms and warnings, too, against administering them too zealously. We’re waiting over a month, until my college roommate takes final monastic vows and is ordained to the diaconate, with our daughter. As Rob C. already said above, there’s always emergency lay baptism. Before this child was born, my wife had two miscarriages. I’m pretty sure our daughter is not going to be any worse off than they are if she has to be baptized in desire or my own saliva on the spur of a moment of crisis. The point of our waiting about five weeks, though, is that Christ breathed upon some people, those people touched others, &c. If one of my best friends in the world has been ordained in unbroken apostolic tradition to transmit the transforming grace of baptism, then I would rather have him do it. As a side note, he being a personal friend means that he is willing to do the Latin form of baptism, with salt, exorcism, &c., without worrying that I’m being political or divisive or something petty like that (which is the usual response from the women who run the parish office regarding anything that is not currently trendy). “Baptism of desire” refers to the desire by the recipient for the sacrament, so this term applies only to those with the use of reason. Saliva is invalid matter for baptism. The matter must be “true water” (aqua vera, Canon 849). The Catholic Encyclopedia article on Baptism lists various liquids, including saliva, that are not just doubtful matter, but invalid matter. Jaceczko, perhaps I misunderstand your point, but personal choice hardly matters in regard to this sacrament, necessary to salvation, for infants. Waiting for that necessity, the constant teaching of the Church from the very beginning, indeed waiting for over a month, thus makes no sense to me at all. The sacrament is efficacious so long as valid, although you seem to suggest otherwise in raising the question of the nature of the priesthood. By all means, arrange for a priest. I fail to see, however, why putting off a necessity of salvation is warranted in the least by what you mention. I don’t see why five weeks can’t be considered “a few”. He understands the necessity of baptism, but the Church doesn’t require the child to be baptized by the doctor before the cord is cut – the wait is so the ceremony can be conducted with the appropriate solemnity. Don’t rely on saliva; make sure you have a bottle of holy water wherever the baby is. Because “few” means around three. Worse, you are ignoring–and all but contradicting by implication–the CCC, quoted in my note: “The Church and the parents would deny a child the priceless grace of becoming a child of God were they not to confer Baptism shortly after birth.” By no stretch of the imagination is five weeks “shortly after birth.” Baptize the child–“shortly after birth.” The CCC is everywhere crystal clear on the perils of failing to do so, and surely we are duty bound as Catholics to convey this to Jaceczko. I hate to think this, but I have the impression that Catholics, under influences unpleasant to consider, imagine they can in some regards make it up as they go along, out of convenience, or even self-indulgence. Five weeks is a ridiculously long time to wait, to be honest, and Jaceczko needs to know that. Five weeks is a ridiculously long time to wait, to be honest, and Jaceczko needs to know that. I don’t really care if the baptism is conducted in English, Latin, or Klingon, by our Parish Priest or an old college roommate. The baptism needs to be done SHORTLY after birth. We’re waiting over a month, until my college roommate takes final monastic vows and is ordained to the diaconate, with our daughter. Does your college roommate know that you are waiting for him to become ordained before you baptize your daughter? I would hope that he would be the first person to tell you not to do that. Get that baby baptized now! “Three” means three. “Few” and “shortly” are indefinite terms that allow for some discretion. I can’t see how five weeks is “ridiculous” if three weeks is acceptable. If the Church wanted to say, for example, 20 days, they would say “20 days”. By no stretch of the imagination is five weeks “shortly after birth”. Really? Have you ever seen a five-week-old baby?